A dormant oil application is one of the most important steps to take to help protect ornamental trees and shrubs against insect populations. Dormant oil is an application that is done while ornamental trees and shrubs are still in their dormant state. The oil is mixed with water and sprayed onto the leaves, branches, and trunks of trees and shrubs. Dormant oil is classified as an insecticide. The oil suffocates and kills exposed insects and exposed eggs on or in the plant by covering their breathing tubes or through absorption of their outer layer that destroys the cells within the insects. When to Apply Dormant Oil? Dormant oils should be applied to trees and shrubs while they are still in the dormant state, usually late winter or very early spring. It is best to apply the dormant oil before the trees and shrubs begin to bud. Spraying dormant oil after budding has occurred will still protect against insects but may kill or damage small leaves or young buds. 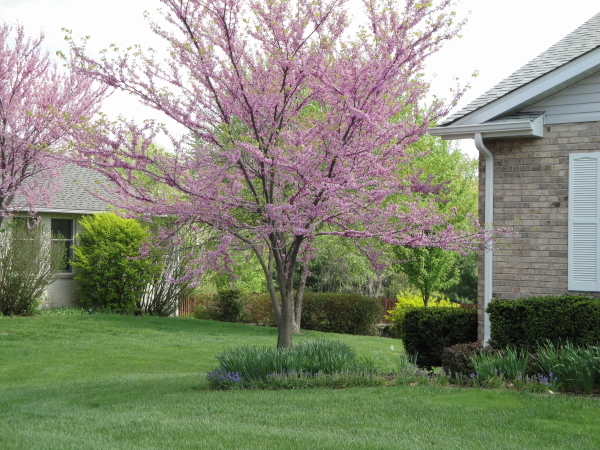 When caring for trees and shrubs, not all trees and shrubs are created equal. Research is the key for each particular plant being worked with as well as the chemicals being worked with. When doing lawn care on your own, it is important to read and understand the product labels. Lawn care services, tree service companies and nurseries are excellent resources to ask questions and get recommendations from.